My mother has severe arthritis in her back and was having pain from her tailbone as she sits in her recliner all the time. This pillow really helped her so much so that I ordered another one for the car and her wheelchair. This is a must have pillow for anyone!! I use this pillow on a daily basis in my wheelchair..my DR said he would love to even have one of them....the cushioning in it is better than any pillow I have bought. It's so easy to carry with you and it fells really great when you sit on it for long periods of time. Great purchase especially for the money. Great medium-firm large cushion that does not squish flat. I found that I needed different cushions for the different types of chairs we have. 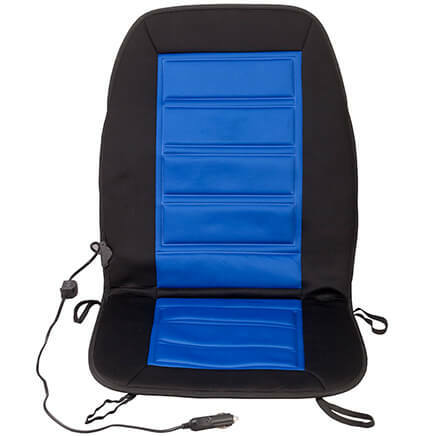 This one works great for flat seats, but does not work for our recliner or slanted seat chairs as it tends to cut off circulation in your legs. Other cushions are also much smaller, so this one is more comfortable where space isn't a problem- such as in a contoured car seat or some desk chairs. Bought as a gift and he loved it! This is a great cushion if you have back problems. It take the pressure off. THIS CUSHION IS EXACTLY WHAT WE WANTED FOR OUR CHAIR. I am so grateful to Miles Kimball for continuing to carry the gel cushion with the Coccyx cutout. Having severe back issues, and being home-bound, I sit a great part of the day, reading or playing on the computer. At one point in the past, there were plenty of catalog stores carrying this item; however, Miles Kimball is the ONLY retailer from whom I've been able to order these cushions in many months. Thank you, Miles Kimball, for truly caring about your customers! I no longer have pain when I sit on hard surfaces. This cushions the surface. Great alternative to taking medication. I highly recommend it! I brought 3 of them, love them all over the house. Using the cushion on an office chair. It works wonderful. This cushion is the answer to my prayers. I have a job which requires me to sit for 8 hours. I have severe hip, back, and tailbone problems and this gives me remarkable relief! 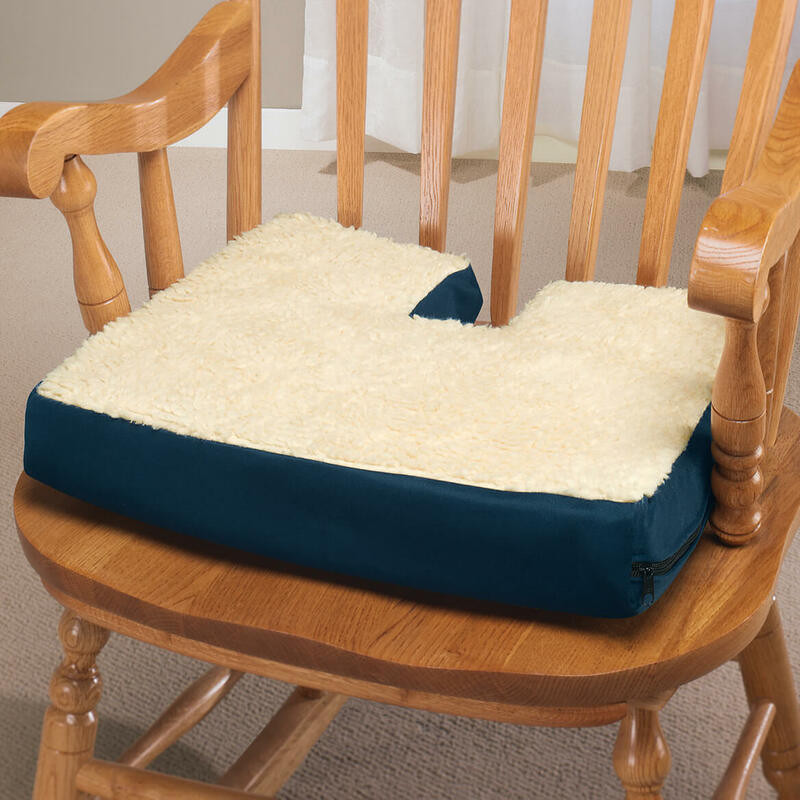 I would highly recommend this product...in fact I ordered another one for my chair at home! i sit mostly on my computer chair and the cushion helps to delay my back pain. It also eases the pain when my hemmorroids act up.spelling incorrect, but you get the idea. What's not so great is that I feel the need for such cushioning in most every chair I sit in, the cushion is addictive, at least for me. I sit at my computer a lot for work. This cushion lets me be comfortable for a long time. So glad I found it! 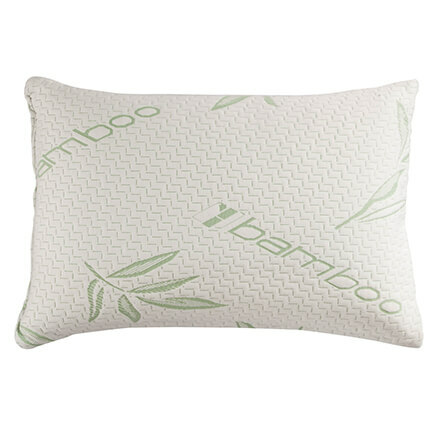 This pillow is so gentle on bare legs! You don't sweat, stick or develop a rash when using this for long lengths of time. I have back problems that cause pain in my tailbone. I have been using this fusion for about 3 weeks and it has greatly reduced the amount of pain I have when sitting. I like it so much I am ordering two more to be used in my computer room and in our family room. I like the fact that the cover comes off for washing. My only wish for improvement is that it would slant as it goes forward so it would be easier to move and stand from. I bought this for my 85 year-old mother who says it is very comfortable. The fact that the cover can be removed for washing is a big plus. It would be better if it were slanted in the front a bit to make it easier to sit on it. It is a bit too wide for my car seat, but it will do. I Use it in my car seat to raise me up to have a better view through my windshield. After trying many different types of these and returning them this one is the best of them all. This advertises itself as a "GEL" cushion. I was unable to see or feel ANY gel in the product. It is almost 100% stiff foam. I am not happy with it not being 100% GEL. I used to have a gel wheelchair cushion and it was wonderful but it got stolen. was hoping this would be like that. I am using it because I really need something just not sure this was it. not working for me! bummer! Compresses Easily to Thin, Hard "Pad" .. Doesn't work for me. May be great for coccyx relief ... ONLY! While this pad looks like one my mother has, it is nothing like it. 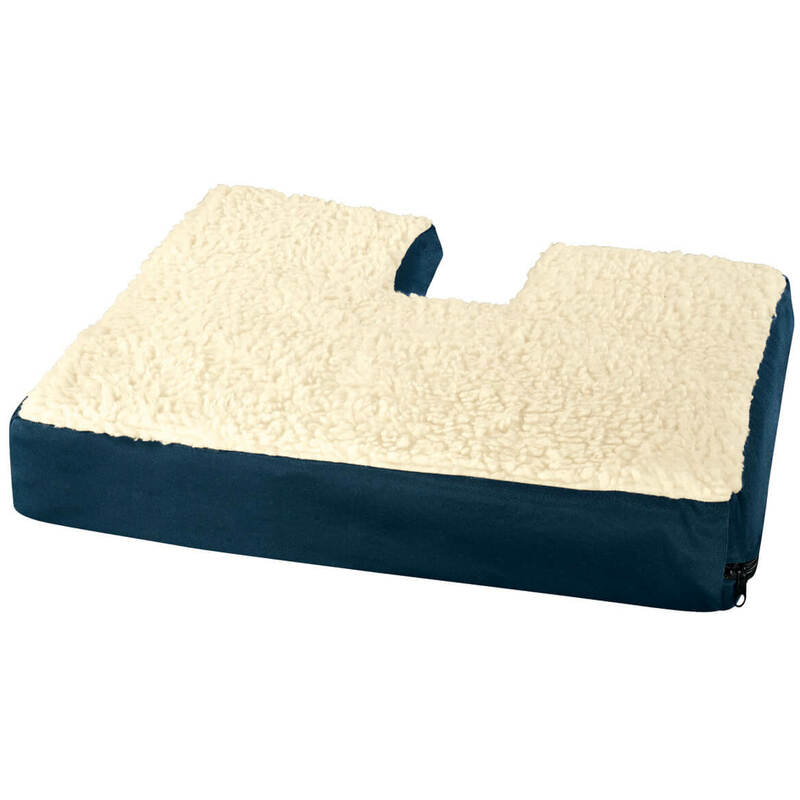 It flattens out within minutes of sitting on it and does not return to full thickness even after getting up. I haven't had the time yet but I am going to return it. I suggest you take this pad out of your catalog and replace it with one of higher-quality. Good for problem backs. Had one similar before. Wore out after 15+ years. Helps when sitting on chair for a sore coccyx bone. to help relieve a back problem. I chose this cushion because I have the flat cushion that is the same type of cushion and I like it. I have a painful tailbone so when I saw my favorite cushion with the cut out I decided to give it a try. If it is as good as my first flat cushion that I bought several years ago, I'm sure I will be very happy with it. If it is too firm to sit on, I will be returning it. I am anxious to receive it and see. These are soooo comfortable. Keeps the pressure off your spine. I'm 80 years old. I have one in the car. It's getting old and flat. So I will put in a new one. Works great in the car for me. 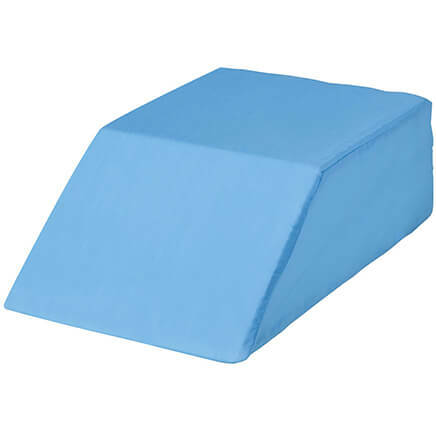 physical therapy ordered it for her chair to sit in ...big wooden chair but need non-skid strips to keep it from moving.... other ones are too narrow hope it fits. It is something I am in need of and the description provided just what will fill my need. It appears to be more cushion; maybe it will last longer? my husband needs it. This is a replacement for the one he has. Husband has a medical issue and this item was recommended by the therapist. To relieve pressure on the coccyx and sciatic nerves while watching t.v. I had one before & it was wonderful! Just had it for years & needed a new one. Have issues with sitting for long periods of time. Recent lower back surgery...need to protect spine and relieve pain from sitting on hard, low surfaces. I think this will help with lifting up myself when in my wheelchair! It looked like it would be more comfortable for my husband in his wheelchair. I have major back issues and this is THE ONLY cushion to give me relief when sitting. I hope it will help my hips, while sitting. Need one for sitting in the chair. To provide relief from pressure on the tailbone. Because I feel it will help me. Mother has lower back issue and this is helpful for her to eliminate some pain. 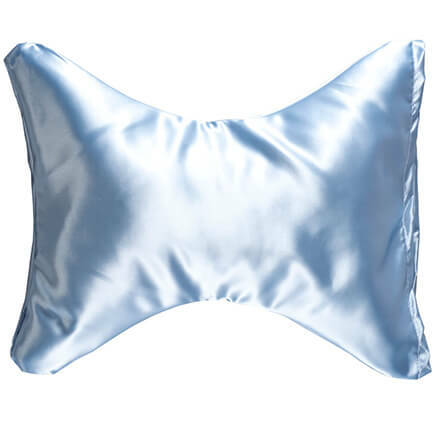 Have back problem, this cushion helps relieve pain somewhat because of cutout. Family member sits in recliner all day and needs to take pressure off his sacrum. is this cushion all gel? BEST ANSWER: I don't know if it's ALL fell or just a good layer of it. But I can tell you it is FANTASTIC!! I have had multiple spinal surgeries with rods and cross rods down mist of my spine and thus cushion has been a lifesaver for me. It relies SO much pain when I sit it's unbelievable. I also bought one for both my in laws and they never sit anywhere without it. It relieves ALL of their pain It takes all the pressure off the bottom bone in the spine therefore relieving pain all the way up the spine. Plus it doesn't flattened out like all the others I've tried. It will eventually flatten a little but not as ever bad as all the others. MOSTLY...STILL A GOOD GEL CUSHION AFTER A YEAR AND A HALF. What is your highest gel seat star rating? BEST ANSWER: Thank you for your question. 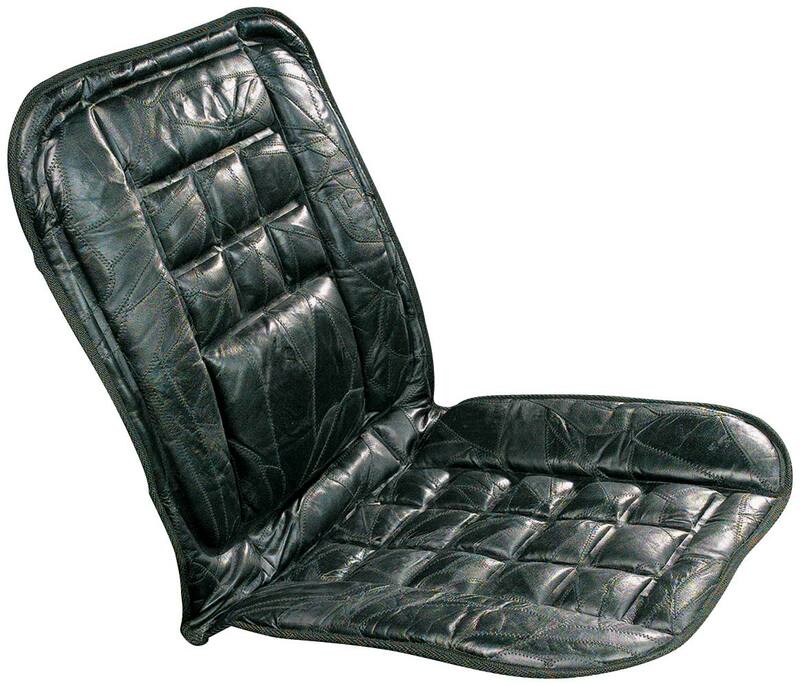 This cushion has our highest rating of 5 stars, with the Fleecy Gel Seat Cushion in at a 2nd with 4 stars. We hope this information will be of help to you.